The phrase tends to get thrown around in the marketing world but a lot of people don’t actually know the purpose or understand what it means. User-generated content (UGC) is content created by individuals outside of the organization or business. It’s authentic and created by your fans. It’s that selfie of you at the Seahawks game with the hashtag #12thman or that photo of your delicious Ben and Jerry’s branded cone at the Santa Monica Pier. But why is user-generated content so valuable to brands? My mission with this article is to make that answer obvious. Where Have You Seen UGC? But that web definition definitely doesn’t give UGC the love it deserves, because in my opinion it’s pretty damn cool. User-generated content is original, dynamic content created by those who matter most - the fans of your brand. It’s a symbiotic relationship as brands get free, authentic content while customers or leads get to engage with the business and at times be rewarded with prizes or featured on the world stage. As a consumer it can seem like every business campaign is done with a hidden motive. By showcasing fans’ content, your next campaign will come across as more genuine, truthful and sincere. So what are the true benefits of user-generated content? Why is it so valuable? Creating content is time consuming and expensive - With [user-generated content (UGC)]( you have to create your campaign idea, reach out to fans, and sift through entries, but that’s it. The hard part is done for you and gives you more ideas than your team could ever come up with alone. Plus, it’s extremely affordable. It creates trust - As a business, trust between you and your clientele is one of the most important things. As Zig Ziglar said “If people like you they’ll listen to you, but if they trust you they’ll do business with you.” And that couldn’t be more true. Seeing other people interact and engage with your brand or your products acts as social proof, allowing individuals to build trust. A simple photo with a product or a review is more valuable in you acquiring a new customer than any campaign you can create. It allows you to grow your audience - UGC lets you strengthen relationships with existing fans and customers, but is also critical in broadening your online reach. Think about it, if you see a friend’s instagram of her wearing a new dress from a store with the brand’s hashtag, you would probably want to check it out. As she shares that image it is exposed to all of her own followers, expanding the reach of that business exponentially. It’s so easy to share - If a lead or customer creates content for your contest or takes a picture of their new product that they’re so proud of, they’re going to want to share it with the world. If they’ve spent time and energy on it, they’re going to want other people to see their work. Over the past decade, social media has become another aspect of our daily routine, and people love to share. UGC is engaging and interactive and one thing that is so easy for everyone to share with all of their networks. Where Have You Seen User Generated Content? User-generated content is nothing new. In fact you’ve probably seen it today (you just may not have recognized it for what it was). For years the debate has raged on regarding earned media vs owned media. Earned media is simply online word of mouth in terms of shares, mentions, reviews, or recommendations, with owned media being controlled by your business (like your website, content, or social). Earned media is consistently more popular (and powerful) with prospective customers. 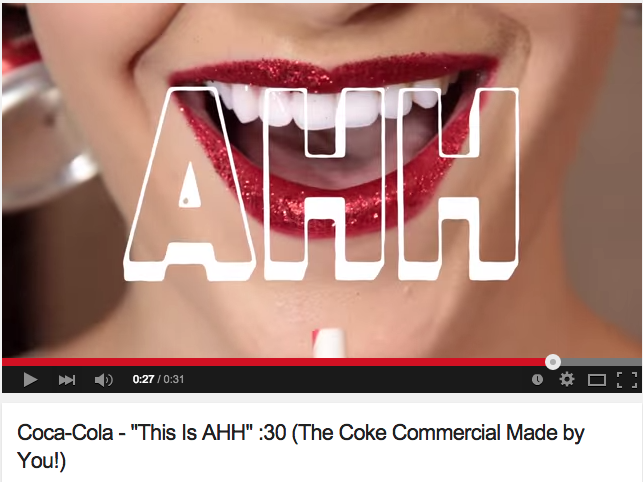 In fact it’s been proven that on Youtube, brands get 12 times more views with earned media (like Coke’s “This is Ahhh” below) with 350 million views to owned media’s 25 million. 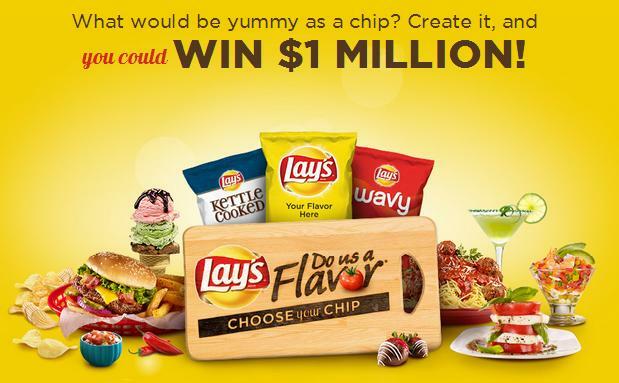 What it is: This massive campaign (now in its third year) from potato chip brand Lay’s gets participants to submit ideas for the next popular chip flavor, with the top four being turned into real products and the winner staying on store shelves for a full year. Why it works: Although the brand is spending tons of money promoting the contest through different, cool digital strategies, they know that this type of campaign will provide them with more ideas than they could ever come up with. It also creates tons of social buzz all over the web and in the media, meaning more brand exposure and an increase in awareness and engagement. What it is: Sport Chek chose to run a photo contest, where participants could submit a photo of themselves skiing or snowboarding for their chance at winning a once-in-a-lifetime prize. 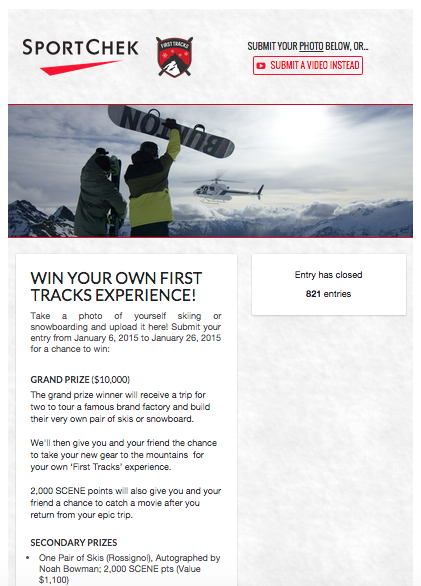 Over 800 people uploaded their best shot to win the opportunity to go to the Burton factory, create their own personalized skis or board, and then go on a heli-skiing trip to try them out. Why it works: By running a photo contest, Sport Chek was able to gain beautiful photos of their customers in action on the slopes - images which they can use in the future to promote their outdoor, adventure brand. They were able to gain information and content from hundreds of leads for the future and got people engaging directly with the brand and the industry, while also generating word-of-mouth interest and brand awareness. Another reason why user-generated campaigns are so valuable is the fact that they can tie in emotion in order to grab the attention of individuals or brand followers. This example from Proctor and Gamble is what pops in my mind when I think of creating an emotional response from customers. What it is: P&G created the “Thank You Mom” campaign leading up to the 2012 Olympics including advertisements and sport endorsements. As a part of that they asked people to thank their own moms by uploading a video, image or text message to their app or website, sharing them with friends and family and spreading the word to celebrate mothers everywhere. Why it works: While they are a huge corporation, this form of UGC creates an emotional bond between participants and the brand. Creating this type of relationship encourages consumers to appreciate the brand more in the future and have a positive view of their products. It was also something that people loved sharing with others, expanding the reach of the campaign and the brand during a very important time for them before the Olympic sponsorship. User-generated content gives you, as a business, the chance to benefit from content produced by those who love your brand. It expands the reach of your contests and content, creating loyal fans and brand advocates. The three examples I gave, while from large businesses, are nonetheless great for inspiration. your business could easily get Fans to participate in brainstorming a product, tool or name, run a photo contest or tap into emotions to drive engagement. Have you run a UGC campaign in the past? What did you find was the most valuable aspect of the campaign? Let me know in the comments below!